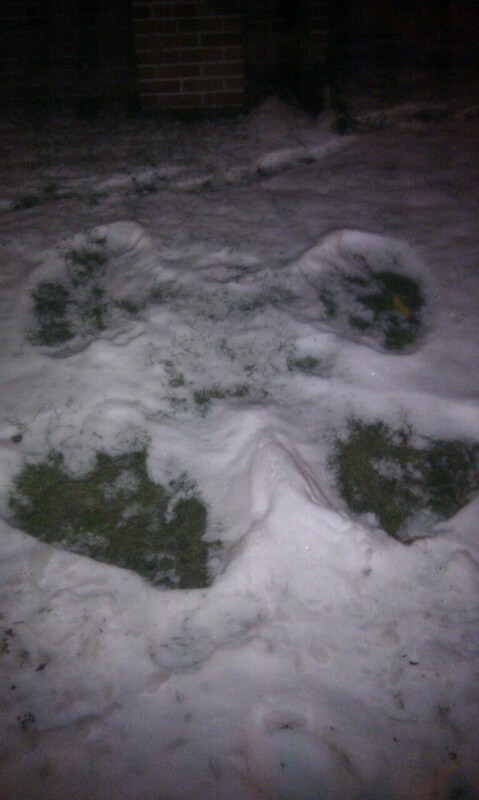 Photo of a melting snow angel that I managed to snap last night on my way home. I don’t think she’ll survive the day. This entry was posted in People and tagged photos, smartphone.